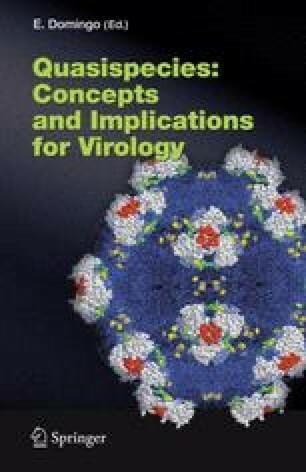 Hepatitis C virus (HCV) behaves as an evolving viral quasispecies in its continuously changing environment. The study of HCV quasispecies population dynamics in experimental models and infected patients can provide useful information on factors involved in the HCV life cycle and pathogenicity. HCV quasispecies variability also has therapeutic implications, as the continuous generation and selection of fitter or truly resistant variants can allow the virus to escape control by antiviral drugs.